Driving theory tests can be booked and taken at any of the UK Driver and Vehicle Standards Agency (DVSA) driving theory test centres, regardless of where you live or the address displayed your driving licence. When attending your theory test booking, remember to take along your driving licence, the plastic card part as you may be refused the test and you will lose your booking fee. If your licence originally came with a paper counterpart, you must also take this. If you have lost it, apply for a new driving licence which should arrive within two weeks. New licenses do not come with the paper part. Once you have booked your theory test, the DVSA will email you confirmation for the date, time and test centre. It’s advisable to print and take this along with your licence to your booking appointment. Should any complications arise, these should help to resolve them. Two methods are available for booking a theory test. 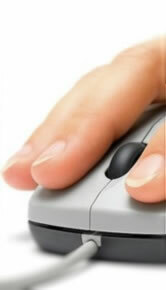 You have a choice of booking the test by telephone or the more popular option of booking online. A theory test telephone booking can be made by calling the DVSA‘s automated telephone booking line on 0300 200 1122. If you have any issues, a DVSA member of staff can be contacted by listening to the options provided. From April 2013, you are able to book a driving test by telephone between the hours of 8am and 12pm. To book a driving theory test online, visit the DVSA online booking service. Booking a driving theory test online can be completed via desktop computers, tablets or mobile devices. It will take approximately 10 minutes to book a driving theory test. Ensure you have your Great Britain or Northern Ireland driving licence number and credit or debit card at hand and once you have booked the theory test, check your email for confirmation. In most cases the waiting times for theory tests are two to three days although this can be longer in busier areas. You can change the time and date of your driving theory test. To change your test date, you must allow at least three working days notice. Saturdays are classed as a working day. You will be unable to change your driving test date unless the applicable notice is provided. You can cancel your driving theory test and claim a full refund providing you allow at least three clear working days notice. Saturdays are classed as a working day. You will not be able to claim a refund unless the applicable notice is provided. If you fail the driving theory test, you will need to wait a minimum of three clear working days before you can take another test. Person Professional manage the theory test centres throughout the UK. If you have enquiries regarding your UK theory test or theory test booking, you can email Pearson: customercare@pearson.com. Person Professional may also be contacted on 0800 093 4520. It’s best to make a note or print of your theory test appointment time and date in case you forget it. To book a theory driving test in Northern Ireland, please visit the online booking form. Northern Ireland theory test telephone booking line – 0845 600 6700 – you may book by calling from 8.00am to 4.00pm from Monday to Friday, with the exception of Bank Holidays. My daughter megan pratt has her practical driving test on monday the 8th of may,we have misplaced her theory test and her driving instructor said we may be able to get a code directly from you. Do you just need to take your licence with you when you go for your theory? Yes, you must take your licence, if you have the older version, then that includes the paper counterpart too. It’s likely that they’ll turn you away if you don’t take your licence. How far in advance can you book a theory test? You can book a theory test up to 3 months in advance. I tried booking a theory test by website several times, but, I received messages that the information is correct or sometimes: you have full all the required information when all are in? What I have to do right now?